If the words “chatbot”, “talking bot”, or “conversational UX” ring a bell to you (or a siren, we admit the topic is pretty loud), you probably have been wondering if you need one for your company and what a bot can do for your business. If they don’t, check what a chatbot is and get back here. We have some curious facts to share. You might have checked if your competitors have equipped their companies with ones. Or searched for the chatbots that would fit your business model. Not an easy job, even with all the reviews and best chatbots charts. Here’s a slightly different approach. In this article, we are trying to find out how chatbots across various industries accomplish their tasks, if they do. And how their owners make money on it. What do chatbots do across various industries. Monetization models: how chatbots help companies make money. Chatbots across industries and real-life cases that prove they work just fine. Capabilities and benefits of bots and conversational UX are limited only by the fantasy and skills of a chatbot developer. And budget, obviously. Here are the main and most widely used tasks chatbots are assigned for. In other words, this is what chatbot developers and business owners usually expect from their chatbots. Don’t be surprised by the tags, we’ll use them later. #augment human team, #replace human effort with automation, #provide customer support, #acquire new customers, #advertise and broadcast, #improve customer experience, #give personalized recommendations, #conduct marketing research, #collect customer data, #improve business intelligence, #enhance brand awareness, #provide search and match service, #inform and educate customers, #automate business processes, #sell and upsell products and services, #engage and reconnect with customers via messengers, #solve “abandoned cart” and similar problems. Tell us about your business pain. We'll build a chatbot to solve it. This is not a complete list of thing chatbots do, but you get the point. Many of these “to dos” are directly focused on helping business raise profit, for example, when a chatbot sells or recommends products or services. Others, therefore, may lead to higher revenue potentially. For example, when chatbbots work on increasing brand awareness and acquiring new customers from messengers and third-party apps. Frankly speaking, it depends on the initial purpose why a business decides to develop a chatbot. The purpose, in turn, is determined by common issues and bottlenecks of the industry the business is related to. It’s logical that ecommerce chatbots usually provide recommendations and sell, travel chatbots help users find tours and bargains, bots for personal finance and healthcare match users with service providers, and chatbots developed for publishers and media broadcast and update. 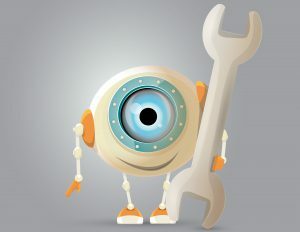 However, the purpose is not the only connection point between the industry and a chatbot. How a chatbot puts money to its owner’s pocket is no less a matter. This matter also refers to some patterns depending on the industry. Here’re the basic monetization models that show exactly where a business earns using its bot. Ecommerce and retail chatbots are perfect for selling products and services directly via messenger or other systems they live in. In fact, almost any business that provides goods not so complex as specific engineering machinery or legal advice can sell via bots. Sell directly or advertise. Either way it will pump your profit, whether it’s food, books, cars or credit cards you offer. Chatbots across industries, especially AI chatbots for recommendation, can be used as an automated marketer that personalizes this advertising and narrows targeting significantly. How much does PR cost? Depends on the competition and industry, obviously. Chatbots able to increase brand recognition and conduct market researches cut these million-dollar budgets for large-scale financial and insurance companies and thousands for local chocolate bar producers. Chatbots that generate leads are another channel for affiliate marketing to advertise and sell, be it personal loans or food store coupons. Connect your chatbot with a third-party system, for example, payments or money transfers, and earn commissions. As simple as that. 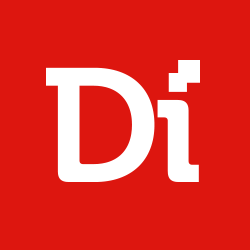 Publishers, media, news portals and blogs, as well as product software companies and gaming industry win providing their service in bots and making money on paid subscriptions. There’s always room to grow though. Chatbots that automate customer support and business processes help companies across industries save on salaries for some human effort and teams. Travelbot's functionality can be as diverse as the travel locations it advertises and sells. Having multilanguage interface, personalized recommendation service, instant search and match with tour providers, hotels, and transfer options, these virtual travel assistants may win over human assistants. Why? Integrated with massive databases, bots for travel can shoot at customers with the best options, prices, and deals instantly, and provide simple updates and check-backs at zero cost and effort. Personal virtual agent, KAYAK bot for Messenger, Slack, and Alexa provides recommendations, search and match, and upsells travel offers in 3 languages. It analizes complex user queries to provide tailored deals and refer to the point of sale directly from messengers. Not to mention broadcasting and advertising options: KAYAK bot inspires with travel advice and favorable locations, and adds transfer options if needed. #augment human team, #replace human effort with automation, #provide customer support, #acquire new customers, #improve customer experience, #give personalized recommendations, #collect customer data, #improve business intelligence, #enhance brand awareness, #provide search and match service, #sell and upsell products and services, #engage and reconnect with customers via messengers. Similar to travel bots, chatbots developed for airline companies and flight search platforms allow customers to find the best deals within the shortest time. Unlike online forms with multiple filters, these bots provide simpler search options picking only the best matching deals for a complex user request with flexible dates and destinations. Top it up with automated customer support, updates on flight status, travel rewards calculation, and ping on best prices, and suddenly flying becomes even more convenient. Skyscanner bot for Messenger is basically an alternative channel for customers to get the best flight deals. It’s smart enough to identify vague queries and provide options for uncertain dates and destination points. However, even powered with AI it can’t find options for “don’t know”. This chatbot performs the same functions as Skyscanner app and web platform. Using a bot, the company simply spreads its online presence and enables a simpler way to book flights. When it provides customers with truly personalized service and recommendations and help them make batter choices, faster and more efficiently. AI powered bots are perfect for this job. Being able to memorize user input, chatbots create a sort of customer profile taking into consideration purchase preferences and habits, customer data such as age and interests. It allows bots to tailor recommendations to customer needs, refine broadcasting and advertising, and simplify and automate the whole business process, from initial brand introduction to purchase and delivery. In other words, chatbots become an independent point of sale presented by a personal digital assistant. 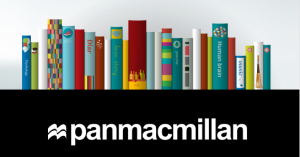 Pan Macmillan Publishing has launched 2 chatbots almost at a time. First, Pan Macmillan bot for Facebook Messenger that provides personalized recommendations and allows customers choose and buy books without leaving a conversational session. This bot not only simplifies your choice, but also offers books according to your taste. Just like your friendly book store keeper. The other one, Alexa Skill Chatbot Book of the Day, updates you on the best books in store, introduces these books, and if you find yourself hooked, sells them right from Amazon. All done via voice audio interface, of course. Here’s how it works in 30 seconds. #augment human team, #replace human effort with automation, #acquire new customers, #advertise and broadcast, #improve customer experience, #give personalized recommendations, #conduct marketing research, #collect customer data, #improve business intelligence, #enhance brand awareness, #provide search and match service, #automate business processes, #sell and upsell products and services, #engage and reconnect with customers via messengers. Chatbots handle excellent customer service and automation of processes that clearly need automation. They serve restaurants and food stores as substantial human augmentation technology. Order and delivery bots order and deliver. Cooking advice bots give cooking advice, obviously. And food bots, no, they don’t make food. But they make sure you get it: find a store, order food online, get the right recipe, etc. 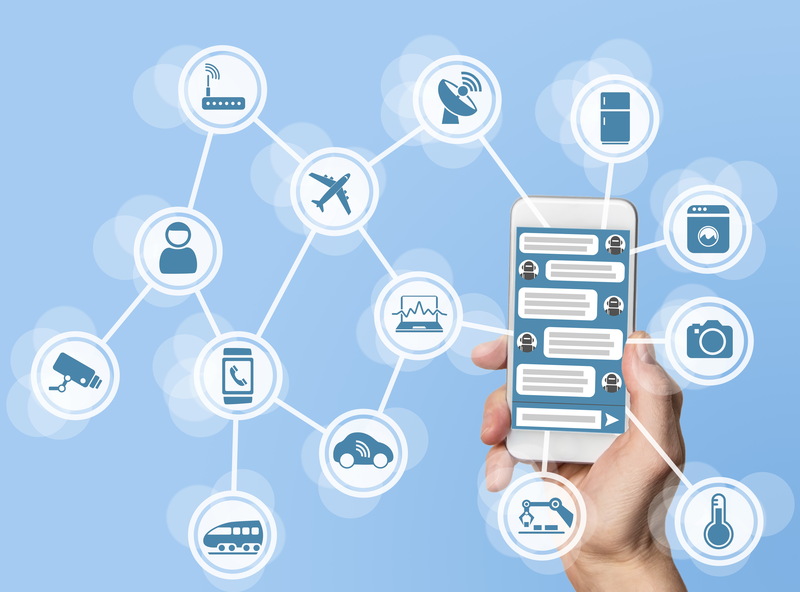 In fact, using multiple integrations with third party systems, chatbots allow to complete the full cycle of service from getting an order, to payment, delivery, and feedback. Not to mention the chatbots that automate some processes such as restaurant table booking or ordering a set of products to cook a certain dish. Whole Foods store created the bot that provides you with a recipe while you are browsing through the isles searching for the idea of what to cook for dinner. It guides you along the way, and if you actually choose to cook something from the offers, chatbot helps you top up your shopping list with the products you need. Thus, it seamlessly encourages you to buy products in the store. By the way, if the store you are in can’t supply you with all the products you need, chatbot will help you find another store within your area. It's a pure marketing tool with a customer value on the side. #provide customer support, #acquire new customers, #improve customer experience, #enhance brand awareness, #inform and educate customers, #engage and reconnect with customers via messengers, #solve “abandoned cart” and similar problems. Here's another industry that uses chatbots for indirect non-monetary rewards. Apart from personalization, integrations, convenient in-messenger location, and utmost simplicity and user-friendliness, a chatbot is first of all the tool that uses conversation to implement its tasks. In other words, it talks to do its job. Education is one of the industries that benefits from this feature, probably, better than others. Digital language tutors and chatbots for education and learning use natural language to inform, teach, receive and provide data and just a smartphone and a common messenger app or a browser to enable this interaction. Now it’s simpler, faster, and more convenient due to familiar text or audio interface. 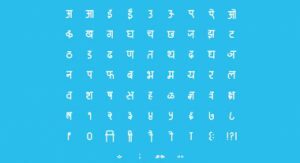 Hindi Bot was created for one of Oxford University Press online dictionaries for Hindi learners and scholars. Embedded directly into the main page of the page, chatbot uses gamification to teach Hindi and entertain users at the same time. However, the value of Hindi Bot is far bigger than just a free personal language tutor. Originally, chatbot was created to encourage Hindi speakers and learners to stay on the site, contribute to Hindi online dictionary, and interact with the system as much as possible. Frankly speaking, chatbot is used as a driving force, as a marketing tool that helps its hosting website retain users. #replace human effort with automation, #acquire new customers, #collect customer data, #enhance brand awareness, #inform and educate customers. This list is not exclusive, since every industry has something in chatbots to capitalise on. Healthcare, publishing, ecommerce, and of course, entertainment are another industries that get the best of chatbot technology. Have you found your industry? Or maybe tasks or monetization models that fit your business needs? Contact our team to talk about chatbots or hire a chatbot developer right away.